Please note that my wife and i are coming as a Pair and her app will be submitted later tonight since we are about to have dinner . If you have any other questions please let me know and ill do my best to answer any and everything. 2. How active are you on LoL? What days are you mostly on? : Im very active to the point im on for about 4-5 hours a day playing games or any time really after work. Do you have a problem with this? No problem at all, if someone is on before me he has the rights to go before me in my eyes. 7. What Champions do you normally play or what role do you enjoy best, Tank, Dps, Support? I like playing as Teemo but also like support classes such as anivia even tho im not amazing with her. 9. During lane phase do you play aggresively or passively? : I would say im rather aggresive but when i know im facing someone i cant handle by myself i sit back and defend like crazy. Need a bit of both to be a good player in my eyes. 10. Do you have a problem with losing if its a possiblity? I have no problem losing as long as the other team are good sports about it and dont rub in the loss then i get a little mad about it but i do my best to keep my cool. 11. How can you benefit and help the guild? Well since iv been in charge of a lot of guilds and currently one of the biggest for the Aussie time zone (IG) i believe i can bring a bit of fun and be a bit serious when needed. I'm very much the sort of person that wants to be number 1 and i will learn and do my best to get there. 12. How do you define a quality member? The Quality of a member in my eyes is someone that can be active and do there best when needed but when they dont need to be the best in the world they can sit back and chill and chat to people about anything and be adults about anything in General. 13. 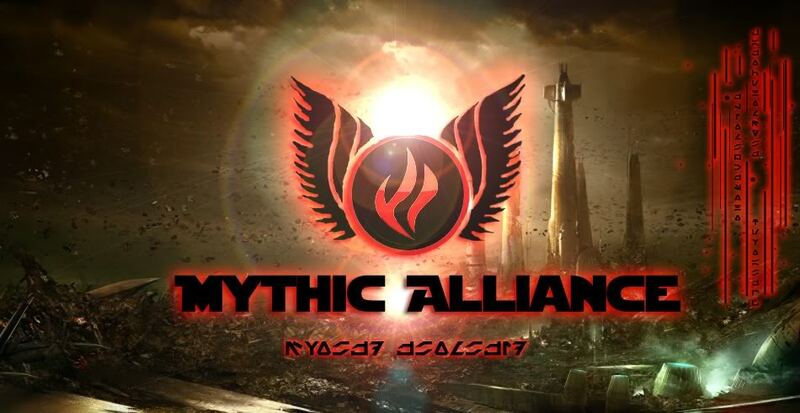 How did you find the Mythic Alliance: To be Honest, my wife and i play League of Legends a lot and she found you guys after we were looking around and didnt find anything that really stood out till we seen this site and loved the questions because it didnt come out as elitest which i hate. 15. Would you say that you maintain qualities of Respect, Honor, and Maturity? I always show respect to people and Honor, I do keep a high level of Maturity...but i have to admit that i can be immature sometimes but everyone has to be at some point right?